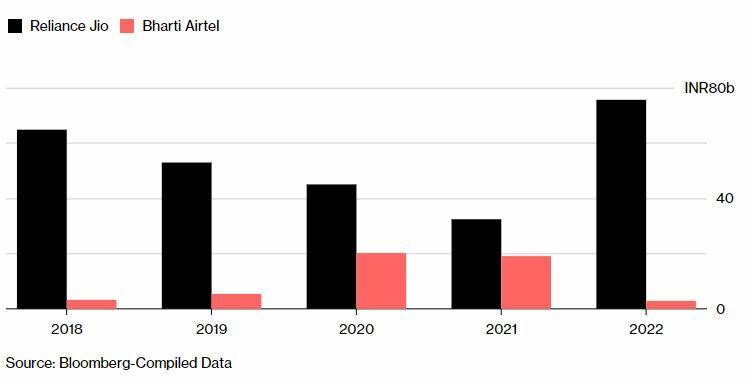 Mittal-controlled Bharti Airtel and Mukesh Ambani’s Reliance Jio Infocomm bond sale may finally end India’s steep telecom price pain. While Jio has added users every month since 2016 launch, bridging the gap with the big three, Bharti has held its top spot Emails sent to Bharti and Jio spokesmen seeking details on use of funds went unanswered. 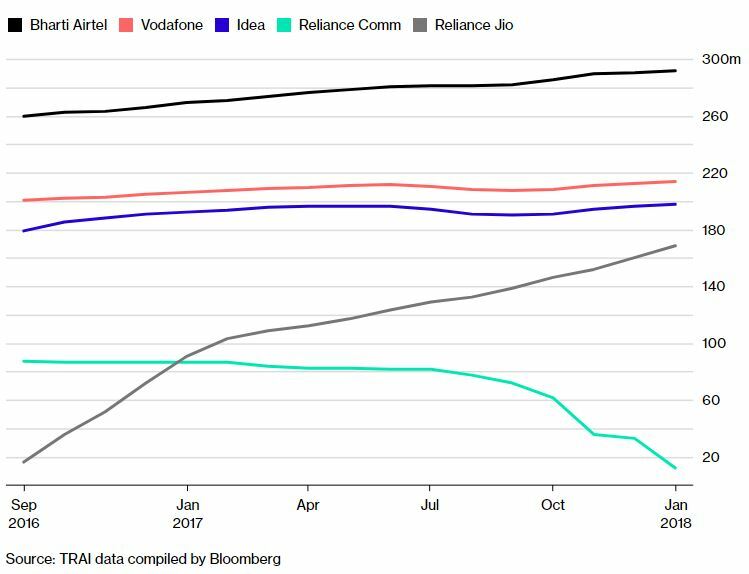 The total debt at four publicly traded wireless operators — Bharti, Idea Cellular, Reliance Communications Ltd. and Tata Teleservices Maharashtra Ltd. — has jumped 55 percent since the end of March 2016 to $34.81 billion, data compiled by Bloomberg show. 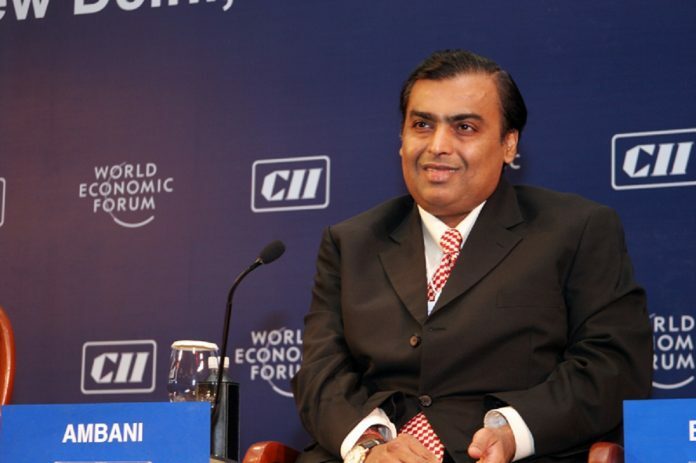 Jio secured AAA rating for 150 billion rupees of debentures last week from Crisil Ltd., a unit of S&P Global, which cited the “irrevocable and unconditional” support from parent Reliance Industries Ltd. India’s most valuable company has invested at least $31 billion in the telecom venture. Crisil rates Bharti’s rupee notes at AA+.